With 70 years of combined experience getting settlements in your favor. The time after an accident is traumatic, confusing and full of challenges. You need a team in your corner that will guide you, support you and fight for you. We care deeply about every one of our clients and we fight vigorously to achieve full and fair results. Throughout our combined 70 years of personal injury practice, we have developed deep ties to the Kansas City community and many of our friends have been clients at some time or other. We are honored to serve our community by providing support and advocacy when it is most needed. I count many of my clients as friends and act as counselor as well as advocate for them. I'm always available and work hard to find the best solution. We know that you are enduring a time of great personal upheaval. You want to put your life back together, and we want to help you. This may be a new and daunting experience for you, but we have been here before. We have decades of experience and we know how these matters unfold. We will guide you through with expertise and compassion. We have a strong reputation in the Kansas City community as knowledgeable and committed advocates. We relentlessly pursue full and fair results for every one of our clients. It has taken us a combined 70 years of hard work to forge this reputation. We are proud of it and our entire business is built on it. 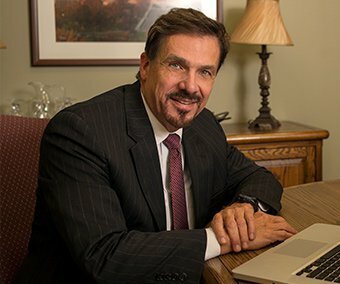 Ed Dougherty is a lifelong resident of Kansas City, Missouri and has practiced as a trial lawyer across the Midwest for over 38 years. He has tried over 250 jury trials in relation to vehicular accidents, premises liability, products liability and medical malpractice. 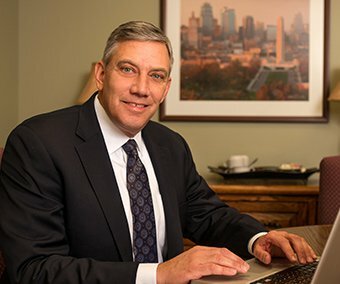 Philip Holloway was born and raised in Kansas City and has over 26 years of experience in cases involving vehicular accidents (including motorcycle accidents and semi-truck accidents), premises liability and product liability. Phil also represents children in relation to accident claims. We have been working with personal injury claims for decades. We know the insurance industry and the tactics insurance adjusters use to try to minimize the payout you receive. When the amount of your loss exceeds the insured party’s liability limit, insurance adjusters will not tell you where additional coverage may be located. But we know where to look and what to do in order to maximize your recovery. Both of our attorneys, Ed and Philip, have been rated by the prestigious legal publication Martindale-Hubble as AV Attorneys. This sets them at the top of the profession in both legal ability and professional integrity. BRAIN INJURIES ARE A SERIOUS MATTER. DON’T HESITATE. Victims of brain injuries are often confused and unaware of their symptoms. We work with medical and rehabilitative experts as necessary to investigate the full range of any injuries. We make sure your symptoms are recognized, documented and taken seriously by the defendant and its insurer. TAKE CONTROL IN YOUR MOTORCYCLE ACCIDENT CASE. Take advantage of our combined 70 years of experience with motorcycle accidents. We can preempt what is going to unfold. We will present all of your options to you and will empower you to take control of your situation. In the aftermath of an accident you are likely to be confused, overwhelmed and frustrated. You may be in physical and psychological pain. You may have medical issues to deal with. You may also be unable to work, and this can lead to financial stress. These are understandably going to be some of your most difficult times. We strive to provide more than just legal advice. We will support you, educate you and inform you. We will take you by the hand and guide you through this process, and piece by piece you will put your life back together. Being with Ed Dougherty and the law firm of Dougherty & Holloway has been a great experience for me. Due to my accident, in the past ten years I have had several interactions with other attorneys and law firms. This has been by far the best experience and I would recommend this firm to anyone. I have a great amount of confidence in my lawyer and friend, Phil Holloway. I was involved in a severe accident while at work. The thought of sorting through all the confusion related to medical care, bills, and a Workers Compensation claim was overwhelming. I hired Mr. Holloway to help me and my wife understand the process and piece our live back together after my serious injury. In May, 2009, I was riding my motorcycle in rural Missouri when I was involved in a head-on collision. A volunteer fire truck crested a hill in my lane and I had no time to react and nowhere to go. I was fortunate to survive, and also fortunate to have Phil Holloway to represent me in the claim for my injuries. He came highly recommended for my type of case, and I was impressed with his knowledge and skill as my lawyer. Through a friend at church, I spoke with a lawyer in Kansas City and told him what I needed. This lawyer told me that I should hire Ed Dougherty, and that’s what I did. Even though his office was hours from my home, he worked with me as if he officed in our small town. Mr. Dougherty and Mr. Holloway worked on our case aggressively, always returned my phone calls and always helped me understand every aspect of the death case against the health care provider. Educating you through the process & informing you of the best option. We'll explain your rights and find a solution. There are often a number of ways to drive a matter towards a positive resolution. Out of court settlements are possible and in the right circumstances they can provide swift and satisfactory results with less cost or stress to you. But sometimes a lawsuit is necessary. Whether your matter is settled in or out of court, your outcome will be a direct result of your chosen strategy and how it is implemented by your attorney. Every case is different but our unrivalled experience and expertise in relation to Missouri personal injury matters allows us to provide valuable insight that very few attorneys can match. Less accomplished or experienced attorneys might present you with one or two options and then push you in that direction. But we know what is likely to unfold and how best to deal with it. We will present you with all of your options. We will empower you to make intelligent decisions and to seize control of your situation. With our assistance, you will take the front foot and will be in your strongest possible position to negotiate or to receive the compensation you deserve.